Who give a damn to traditional bikes when you have a design of your own dream bike? "Custom bike" is a buzzword nowadys, every bike lover and enthusiastic is going for customization instead of riding a traditional bike. It's never been easy to customize a bike, but thanks to all those customizing units which are helping the riders to ride their dream bike while enjoying the uniqueness on their own. One can choose anything from Chopper, Cafe Racer, highway cruiser, Bobber etc, however, Bobbers are said to be the most loved customised type among all above due to it's cleanness and style. Bobber is made out by eliminating all the non essential parts such as- turn indicators and front breaks, it keeps the original factory bike frame as opposed to a modification of a factory frame. 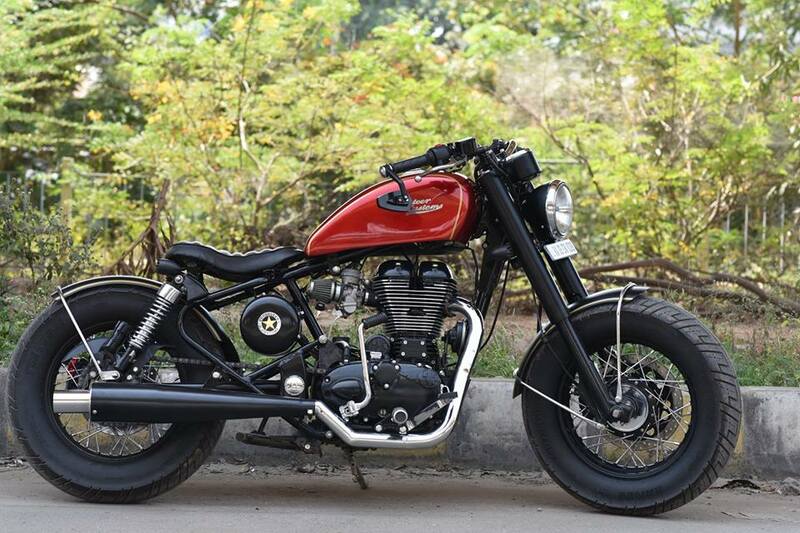 Today we are here with such an example of clean and stylish Bobber, chopped out of Royal Enfield Thunderbird 350cc by Bulleteer Customs. Icarus is one of their best vintage bobber yet. Inspired by the old American bobbers and a bit of British WWII styling this machine is one that makes you fall in love with the simple old school world again! This one started life as a Royal Enfield Thunderbird 350cc and now she’s a 140mm front andrear tyred old school treat, the bikes been given a mild power mode to overcome the drag from the the two fatty tyres which makes it quite agile.